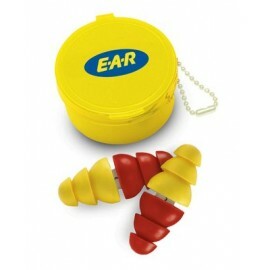 Earplugs can protect your hearing from being exposed to damaging sound levels. Knowing which earplugs are right for you, however, is what can make picking your new pair difficult. And there are plenty of options to choose from. 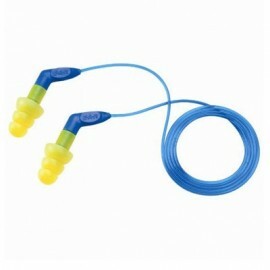 Below, you’ll find some of the more common questions and topics pertaining to reusable earplugs. Pore over the information and use it to find the earplugs that fit you best. 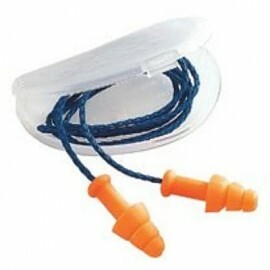 What are the advantages of using reusable earplugs? The most apparent benefit of using a reusable earplug is that, unlike a disposable one, you’ll be able to easily get multiple wears out of it. Reusable earplugs are designed with added durability in mind, making it possible to wear them more than once (although, some disposable earplugs stand up well to multiple uses). 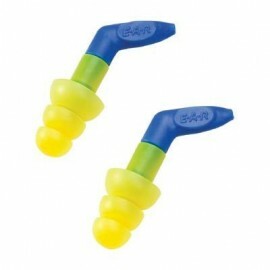 Since they degrade slower than disposable earplugs, they’re typically made with a more resilient design and material. 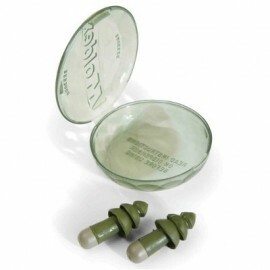 And some reusable earplugs, such as these Moldex Camo Rockets, are made to be washable. All of this adds up to significant savings for wearers. If you can get two or three times as many uses out of a reusable earplug – as compared to a disposable one – then you will save the cost of one or two disposable boxes before your reusable box is emptied (assuming both are priced equally). When searching for a disposable earplug, what should I look for? Your disposable earplug should be chosen based on your particular needs. Not everyone will require an earplug that offers the highest levels of hearing protection. Some people, for example, will require flanged earplugs that allow sound to pass through them. Frequently referred to as “Hi-Fi” earplugs, these are typically worn by musicians that want to reduce surrounding sound levels while still being able to identify bass and treble notes. These EAR Arc Plugs are double-sided, with the yellow side letting a slightly reduced amount of sound through and the red side offering an NRR of 22 db. You must also consider whether or not your earplugs are liable to fall out. 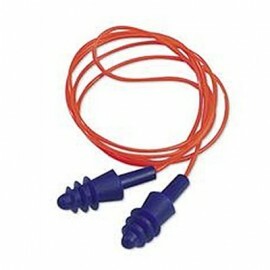 If you’re going to be wearing them in an environment that may make it difficult to keep them inserted inside your ear canals, you should considered a banded or corded earplug option. Both of these will help your earplugs stay securely in place. How are disposable and reusable earplugs different? Disposable earplugs and reusable ones are not so dissimilar. They both can offer the same level of hearing protection, comfort and other features. The major difference, however, is in how they stand up to wear. A disposable earplug will degrade quicker than a reusable one, and that is what accounts for the biggest difference between the two. 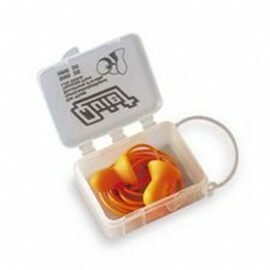 Outside of this, disposable and reusable earplugs both offer excellent levels of hearing protection (we have earplugs that have an NRR up to 33 db), corded options, banded options and more. Aside from being reusable versus disposable, earplugs can differ in a few additional ways. Some earplugs are metal detectable for food processing environments. When a workplace can’t risk having earplugs enter the production process, they need them to be detectable to prevent them from entering the product. Another added feature that some earplugs have is a cord or a band. A cord is the more flexible version of a band, designed to prevent your earplugs from falling out. A band is the more rigid version of a cord, as it wraps around your head with a hard plastic band. The shape of an earplug also affects its properties. 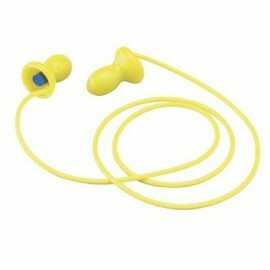 A push-in style ear plug, like this EAR Push-Ins Earplug with Grip Rings, will offer hassle-free insertion and removal. Some foam options, on the other hand, may be trickier to insert and remove. 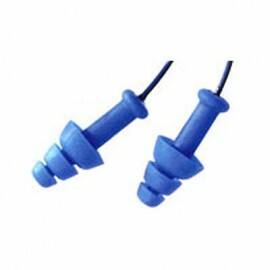 Additionally, the shape of an earplug will impact how well it is able to stay secure within the ear canal. Is there a special way to insert foam earplugs? Some foam earplugs require you to follow a simple process in order to properly insert them into the ear canal. This is known as the roll, pull and hold method. To begin, roll the foam earplug in between your fingers to compress it. Once you’ve done this, grab the lobe of your ear and gently pull back on it to better expose the ear canal. Finally, insert the earplug into the ear and hold it deep within the ear canal with your finger. What is an NRR rating and why should I care? The NRR rating that all earplugs come with corresponds with its ability to muffle noise. An NRR rating of 30 means that the earplug can reduce outside noise by 30 decibels. Most people would struggle to identify a difference of a single decibel. However, the discrepancy between earplugs can sometimes be drastic, making it imperative for you to find one that provides sufficient noise reduction. At Enviro Safety Products, we carry earplugs that offer NRR ratings as high as 33 decibels, such as this EARsoft FX Corded Earplug (disposable). There’s too much earplug jargon. What does it all mean? Corded – This simply means that both earplugs are joined by a cord, which is added to help keep them from falling out of your ears. 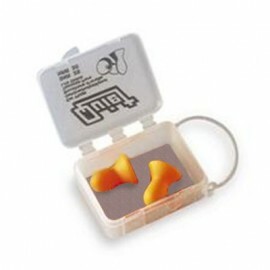 This pair of Howard Leight AirSoft earplugs is an excellent example of the corded feature. Banded – A rigid plastic band with an earplug on each of its ends. 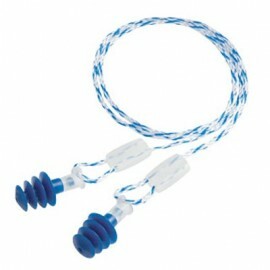 It fits around your head tightly and ensures that your earplugs stay securely in place. Metal detectable – Many work environments, such as the food processing industry, can not risk the possibility of earplugs entering the production process. As such, metal is added into this type of earplug in order to make them detectable in the event that they fall out of their wearers’ ears and enter production. 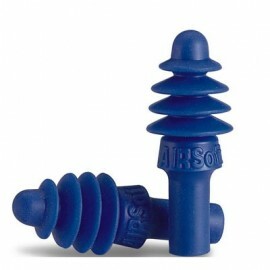 Push-in – These earplugs are easy to insert and remove. Simply push them in and they will stay securely in place. As a company, we’re dedicated to our customers. Part of that means having the lowest possible prices and lightning-quick shipping. Another significant component of that is about having the largest selection available – and we believe that our inventory of reusable earplugs is hard to beat. Once you shop with us once, you’ll never want to shop anywhere else. And you can find all of the other hearing safety gear that you want in our hearing protection department.